Today we bring you a jumbo-sized edition of Thursday Morning Superhero. There were more titles I wanted to read, but hit my limit in the eight I present below. 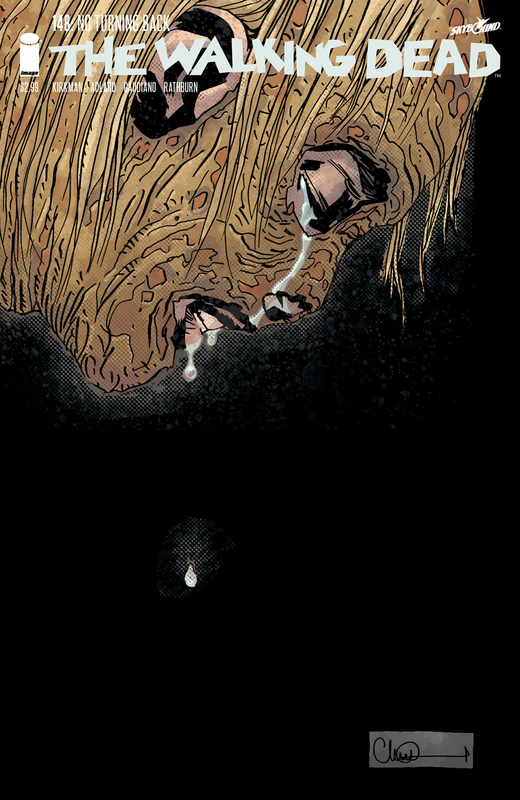 Truly a great week of comics with many stellar issues. This week we are given a new series from Image that is promising, an astounding debut of a new Wolverine, and once again declare that Jeph Loeb and Tim Sale should be creating new Captain America material until they retire. 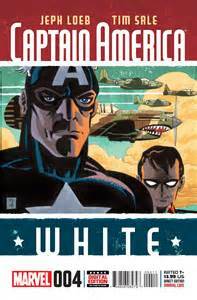 Captain America: White #4 - This might be my favorite issue in this series to date. Not only do we get some quality time with Herr Skull, we learn more about the complications surrounding Bucky and Captain America's relationship. The two cared for each other, but almost to a fault and it is very rewarding to read these stories with the addition of Cap's narration. It feels like watching one of your favorite movies with the commentary. You enjoy a classic story, but gain valuable insights from those who lived it. I hope this becomes an ongoing series. I could read old Captain America stories from Jeph Loeb and Tim Sale until the cows come home. All New Wolverine #1 - Not sure if you remember, but Wolverine is dead. Fans speculated he would return, and he still might, but for now his cloned daughter will be carrying the torch. 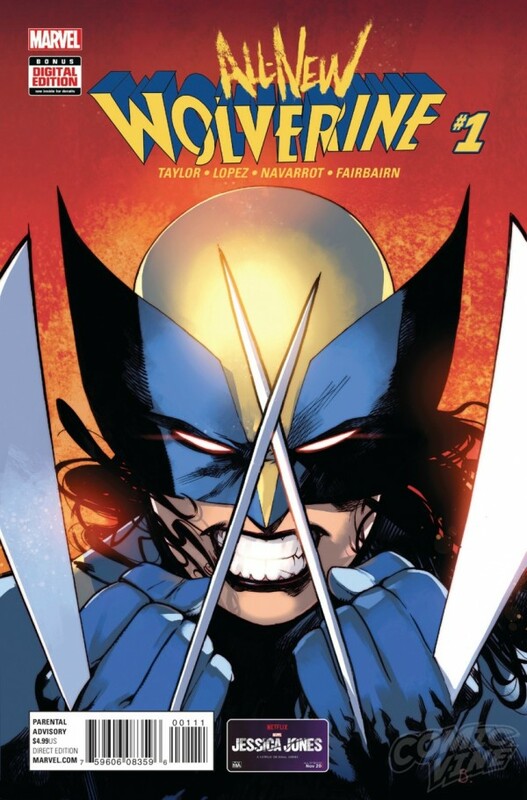 X-23 is the new Wolverine and her debut issue was a treat. She is a natural fit to carry on the legacy and from this debut, it appears to be in good hands. In this issue, she is tracking down assassin who turns out to be a clone of her. There are other clones out there, and it appears that the journey to track them down will be an entertaining one. planned and the skinwalkers have everyone on edge, but no. You can't do that. It was correct to move Lydia. She wasn't safe. I still fear for Carl and the others at Alexandria with her being there, but you need to be the better man. Desperate times call for desperate measures, but not this. You are opening Pandora's Box and it isn't going to end well. 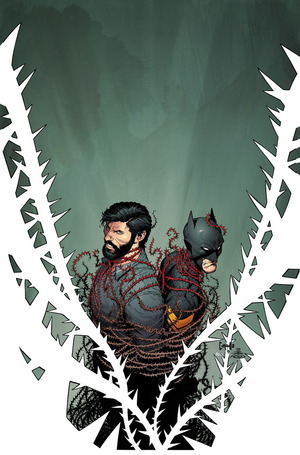 Batman #46 - While I am still not 100% on board with Jim Gordan as Batman, Bruce Lee with amnesia, and some of the new gear Batman has, I am completely down with Mister Bloom as one of my favorite super villains. He is an intriguing fella. He has opportunities to kill Batman, but holds back and is also aware that Jim Gordon is currently wearing the suit. Robin may have uncovered a secret about Mister Blook, but he will need to escape the Penguin's clutches first. Darth Vader #12 - This series does a great job of demonstrating the power of Vader juxtaposed with how vulnerable he can be. When we last left, it appeared that the inquisitor Thanoth was going to prove that it was Vader who stole the Imperial credits. Just when we think that Vader is going to suffer more humiliation, he is able to convice Thanoth to leave Aphra alone and pursue a lead on a nearby Rebel squadron. It is brilliant in how simple it is, and when they pursue the Rebels we once again witness the sheer strength of Vader. Using only his lightsaber and the force, he is able to stop an escaping Y-Wing in a glorious scene. 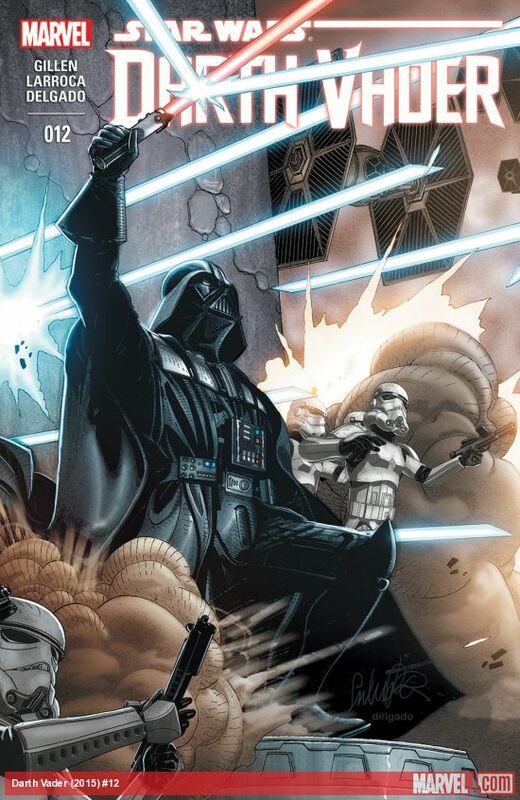 Following this victory, he may be entering a trap as the new event surrounding this comic is "Vader Down." This series remains must read material for Star Wars fans. 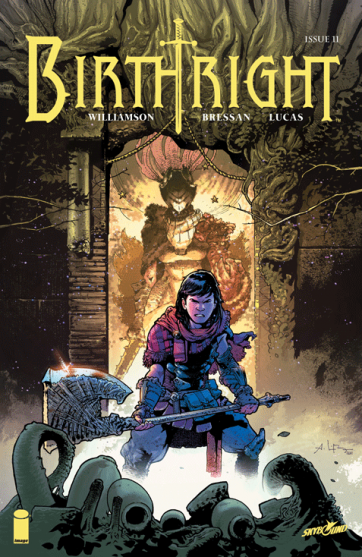 Birthright #11 - We are treated to an entire issue in Terranos and learn more about Mikey's tragic downfall. While the Nevermind has control of him now and Brennan has a big burden to bear, Mikey's time in Terranos was no easy task. He was taken away from his home, instructed that he was the chosen one, and forced to train and battle demons that he couldn't have fathomed in his previous life. He tells his brother the tale of the time he saved a girl from Kallista, a woman who was possessed by the Nevermind and now served Lore. This issue almost tricks us into once again trusting Mikey, but we learn that hope lies with Brennan and he is the hero we need. 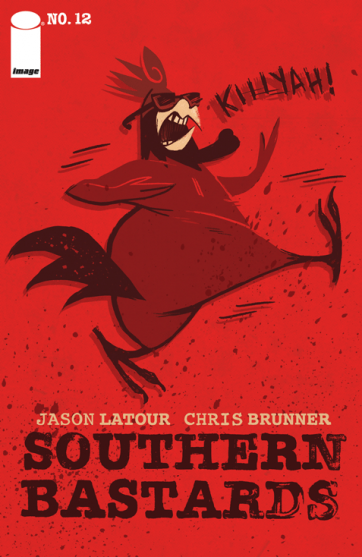 Southern Bastards #12 - A trippy issue takes us through the vegetative state of Tad Ledbetter, a friend of Earl Tubb who finds himself at the wrong end of a beating from Coach Hogg's thugs. The only shimmer of light is Materhead, an assistant coach under Hogg who is starting to crack. He thinks that Rebel, a god who should be long dead, is haunting him at each of his wrong turns. This sprinkle of the supernatural works well in this dark, yet entertaining series. 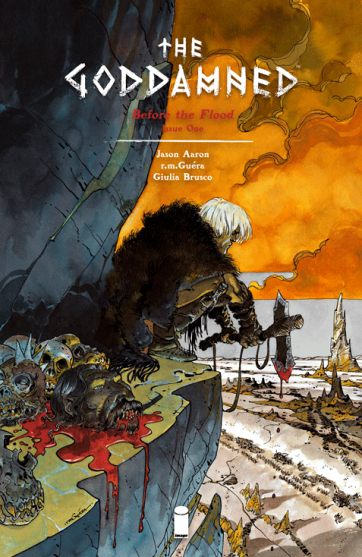 The Goddamned #1 - Jason Aaron gives us a new series on the life of Cain, thousands of year after his birth. The rage that existed when he killed his brother remains, and he has some sort of Wolverine-esque healing ability. Not sure what to make of this extremely graphic debut, but there was something visceral that was appealing. I will check out the next issue, but am not sure if I will be sticking with it.